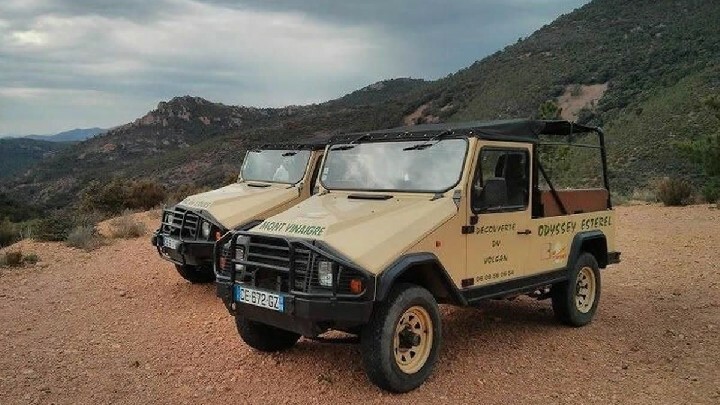 Safari in a 7-passenger convertible 4WD vehicle, on the forest roads of the Esterel hill, protected forest of 30,000 ha including 6000 ha owned by the ONF (French National Forest Association). At the end of the excursion, you will be able to taste local products (Bio Label). 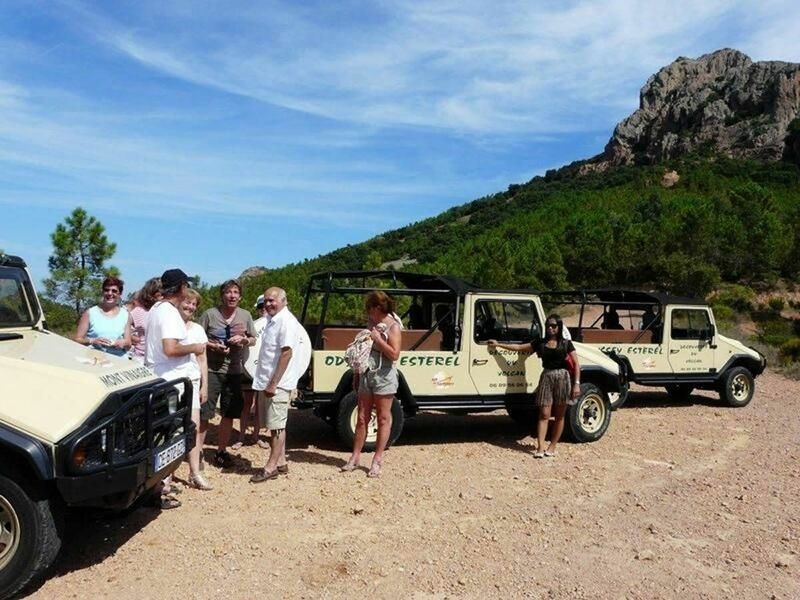 A guide will help you to discover the Mont Vinaigre (a peak at 618 m), the Pic de l’Ours, the centre of the volcano (its caldera), the Pic d’Aurelle featuring a magnificent panorama of the Iles de Lerins, Cannes, the Alps, and the back country towards the Maures area. 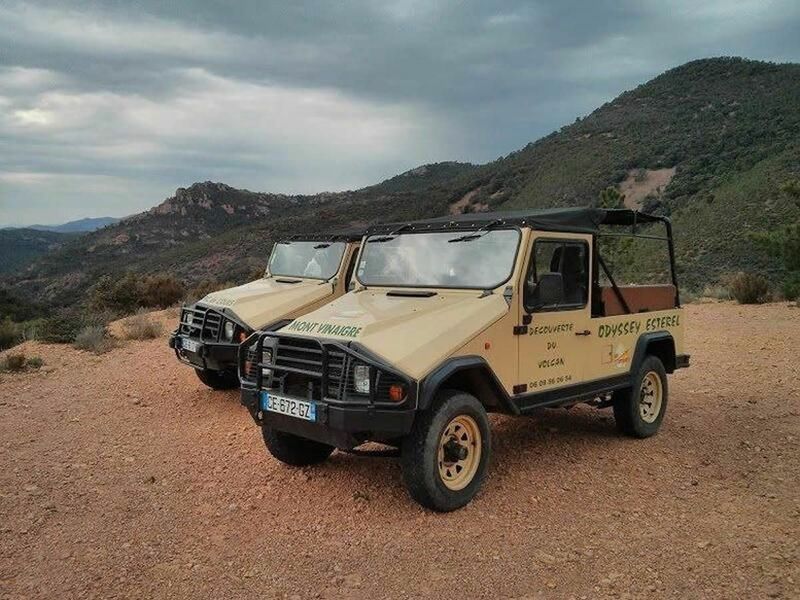 Each stop offers the opportunity to learn about geology (The main components of this volcanic massif), the fauna (explanation and maybe meeting with wild animals living in the massif) and the flora (smelling, learn how to recognize the smell and the taste of Mediterranean plants). You will admire a breathtaking scenery, unspoiled nature and rock formations identical to those in Colorado. At the end of the excursion, you will be able to taste local products (Bio Label) : olive paste, tapenade, honey, mimosa kir, discover unsuspected tastes. Live intense and rare moments, just enjoy ! Duration of the walk : half a day in the morning or in the afternoon. Open all year long. 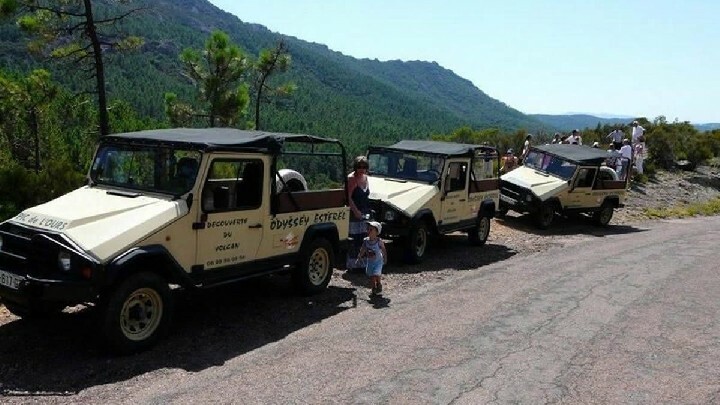 These excursions are allowed to everyone, very little walking involved. 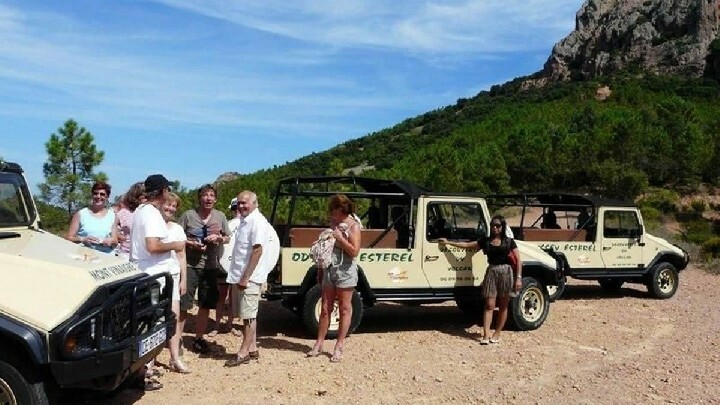 You will receive a gift of 200 pictures of the massif of the Esterel. 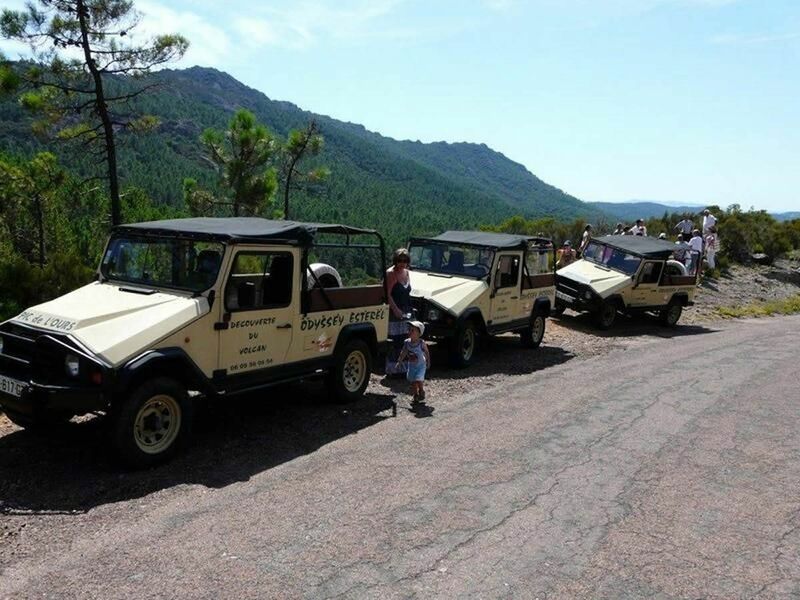 4 WD vehicles only are a funny way to move in the massif, no cross-country, or a little bit on demand. One guide for 7 passengers.